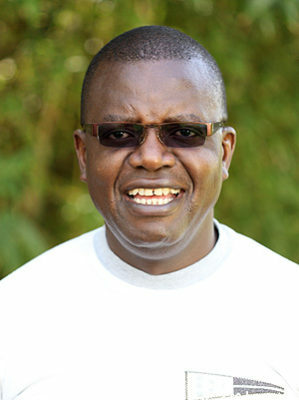 Trevor Ncube is Chairman of Alpha Media Holdings (AMH) based in Zimbabwe, a company he co-founded 19 years ago. AMH owns four newspaper titles in Zimbabwe namely NewsDay (daily), Southern Eye (regional daily), The Zimbabwe Independent (business weekly) and The Standard (Sunday). Ncube is also controlling shareholder and Executive Deputy Chairman of the Mail & Guardian Media Group (South Africa), publishers of one of the leading weekly newspapers the Mail & Guardian. M&G Media also owns Mail & Guardian Africa which is headquartered in Nairobi, Kenya. He is also a chicken farmer. Ncube has a BA Honours (First Class) from the University of Zimbabwe. He started in journalism in 1989.He completed the Said Business School, University of Oxford, Advanced Management and Leadership Programme in June/July 2009. In 2012 he completed the Oxford University High Performance Leadership Programme. Trevor was awarded a Print Media S.A. Fellowship in 2006. He was awarded the International Publishers Association Freedom Prize Award in 2007, andalso won the German Africa Award in 2008. In 2010 Trevor was bestowed the Nation Media Group (Kenya) Life Achievement Award for his work in media on the continent.In 2012 he was awarded the German Peace Dove Award. NewAfricanMagazine named him among the 100 most influential people in Africa in 2012 and 2013. In February 2013 he was named as one of the most influential business people in Zimbabwe since 1980. In 2015 Credit Suisse named Ncube among Africa’s 50 influential people on the continent. In 2013/14 Ncube was chairman of the World Economic Forum’s (WEF) Global Agenda Council on Informed Societies. He is currently a member of WEF’s Global Agenda Council on Africa. 2013/14 he was a member of the Hivos International Supervisory Board. He is Chairman of the African Media Initiative (AMI) a continent wide organization focusing on strengthening the sectors viability and enhancing its professionalism and is a Fellow of The Aspen Institute and Africa Leadership Initiative.